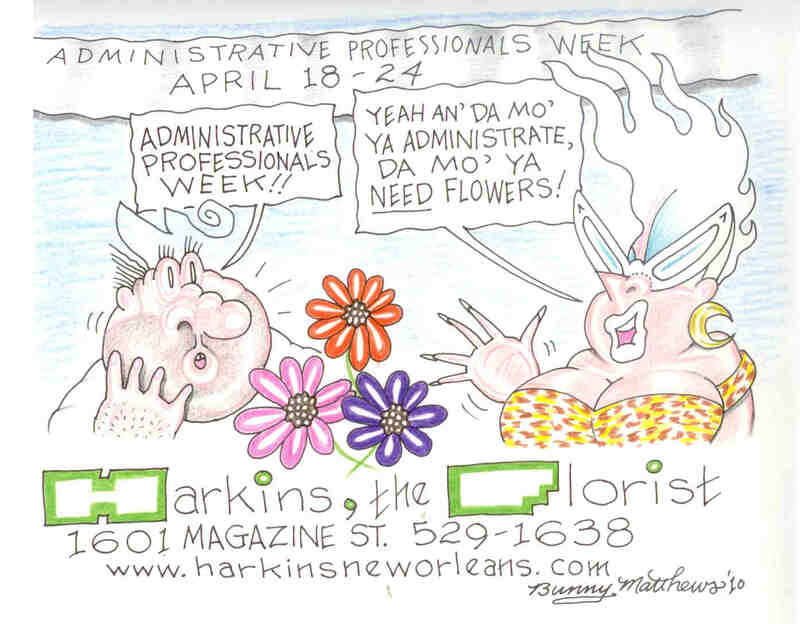 This great drawing says it all: the more administrative professionals you work with, the more flowers you need this Administrative Professionals Week 2013 (April 22-26), to show them how important their work is. Those of you looking to join the administrative professionals workforce have your work cut out for you. Never fear however, The Flower Pot has discovered an outdated, but hilarious video of what not to do. Unlike this girl, real admins do a great job, and APW is about showing your appreciation. The Flower Pot has a few gift suggestions to that end. Get a Secretarial Surprise full of orchids and roses to brighten your admin's desk. If you have it sent to them on the 26th of April, they'll be able to take it home and enjoy it all weekend! Questions? Comments? Call us at 514-938-1234, visit us, or visit our website!